Google Analytics is the most widely used web analytics service for tracking and reporting on website traffic. This tutorial will show you how to integrate your existing Google Analytics account with SendinBlue to monitor website traffic driven by your email campaigns. 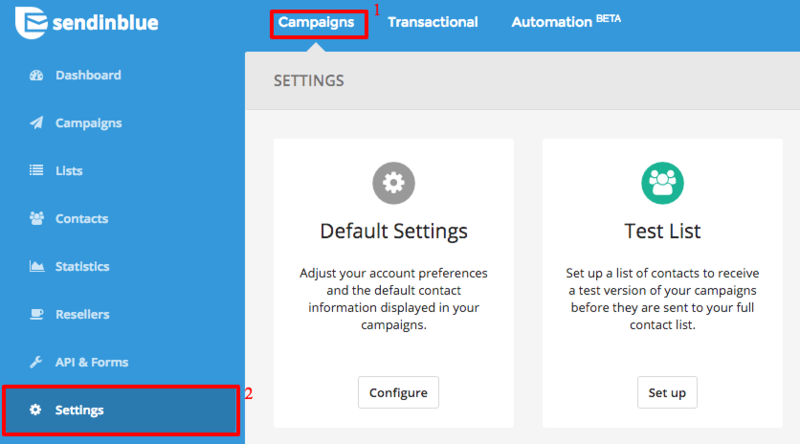 Go to the settings menu on the "Campaign" tab to access the advanced settings for your account. 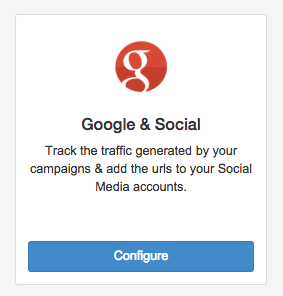 Select Configure in the Google & Social section. Select Yes to active Google Analytics tracking. 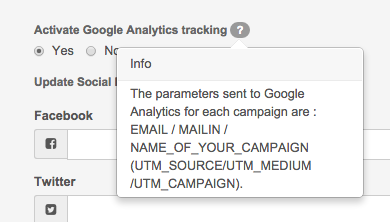 SendinBlue will now automatically add tracking terms to your campaign links that can be recognized by Google Analytics. These tracking terms are referred to as "parameters" and add several unique types of information to your links so that you can identify which campaigns perform the best. Read this Google Analytics overview to fully understand how these tracking terms can help you analyze your campaigns' performance. 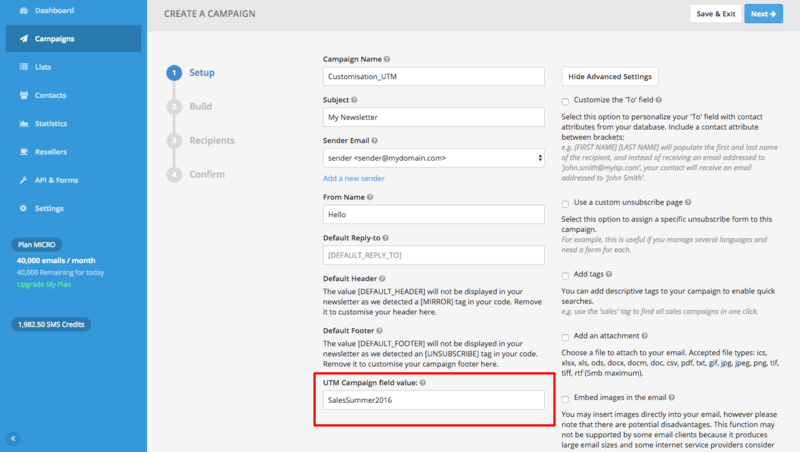 For example, if you name your SendinBlue campaign "Spring Sale Alert", the UTM_Campaign value will be "spring_sale_alert". Note: you can only enter alphanumeric characters and spaces. After your SendinBlue campaigns are delivered, visit your website's Google Analytics account to view how many people clicked through from your email campaign to your website. (Note: If your campaign links to websites that are not monitored by your Google Analytics account, this traffic will not be shown in Google Analytics.) In Google Analytics, visit the "Acquisition" section to sort traffic by Source, Medium or Campaign. Have questions or need help? Contact us at contact@sendinblue.com. 🎥 Why has my SendinBlue account not been validated yet?